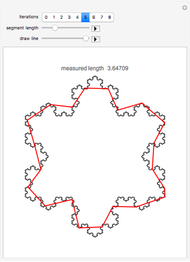 This Demonstration lays line segments on the Koch snowflake curve to find an approximate measure of its perimeter. 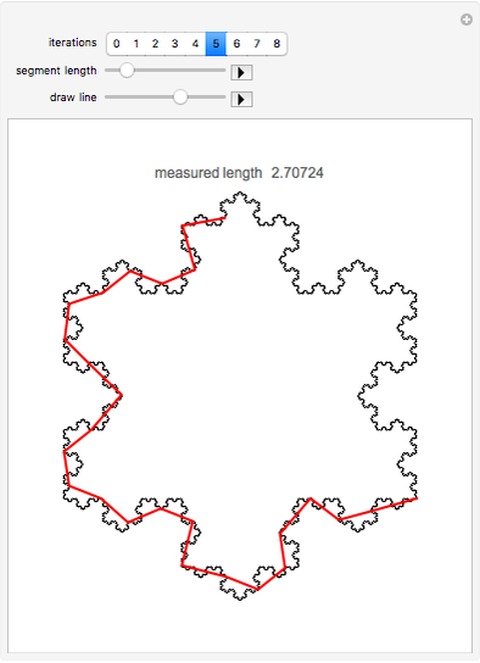 Vary the number of iterations used to generate the fractal up to the limits of your computer. 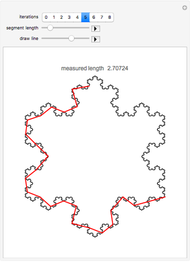 Vary the length of the line segment with the slider or press the play button. Draw the line around the fractal or press its play button. 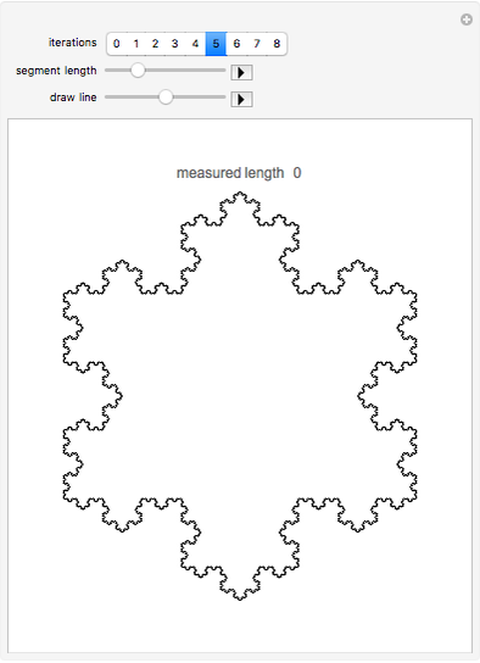 You can see the measured length of the fractal's surface change. 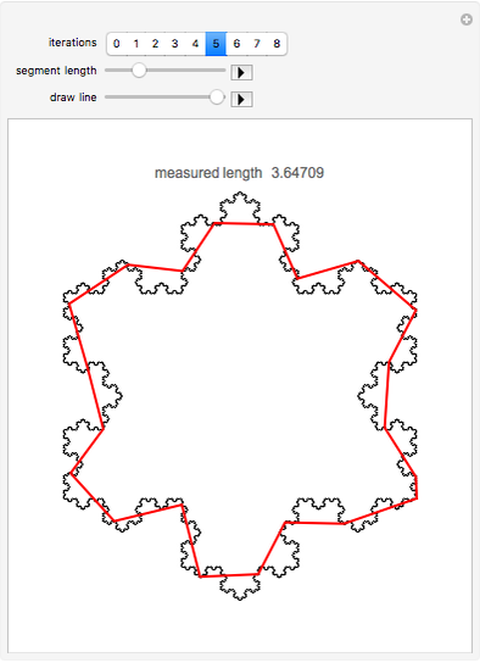 David Chan "Measuring the Perimeter of a Koch Snowflake"